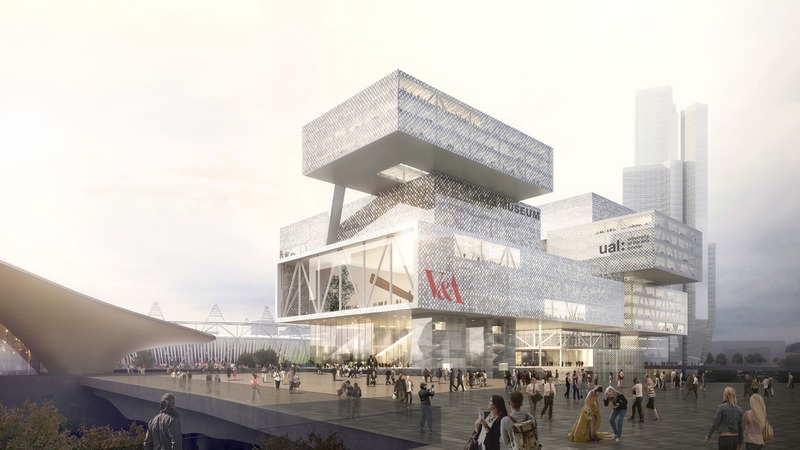 A cluster of ‘looped’ building modules forms a flexible structure and hybridized spaces for the interaction between cultural institutions: a Culture Machine. 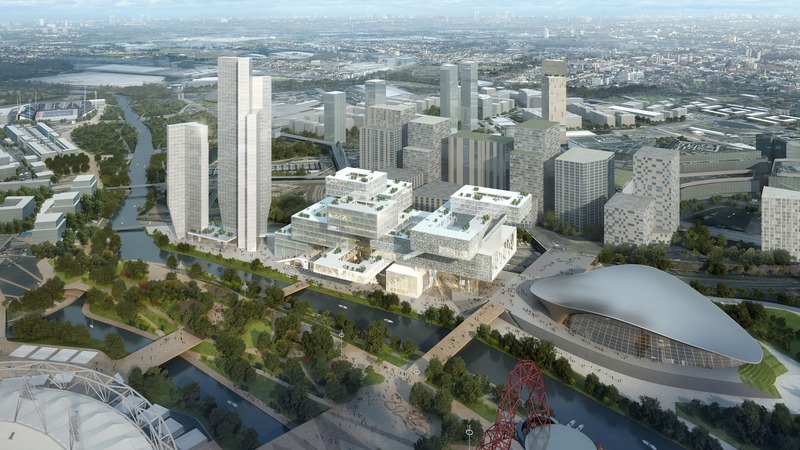 Our design of the Olympicopolis plan envisions the unique potential and vibrant synergy of combining the diverse cultural partner institutions on a high density site in the Queen Elizabeth Olympic Park. 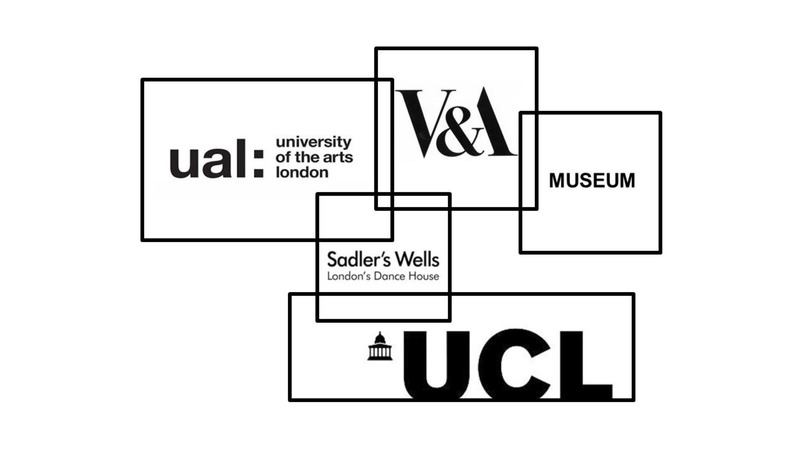 The ensemble of interconnected buildings manifests the extraordinary creative energy and collaborative presence of the Victoria and Albert Museum (V&A East), a second museum; University of the Arts London’s (UAL); and the Sadler’s Wells Theatre. 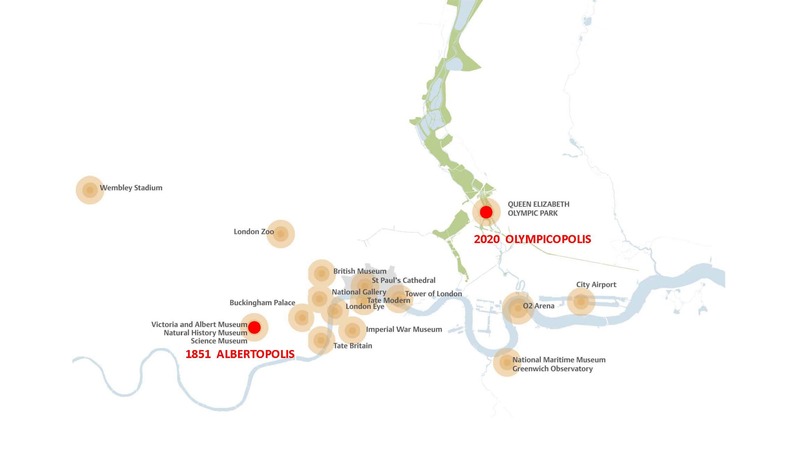 Olympicopolis will form a new cultural anchor, in the emerging urban context of East London, whose buildings and connective public realm will be inhabited and activated by diverse forms of creativity, making, learning, performance, and interaction. The unprecedented collective presence of these cultural partners offers exciting opportunities to create a critical mass, new spaces for a new generation, with transformative power to generate uncharted innovations in the future. The multiple agendas of the cultural partner institutions are successfully integrated within a robust flexible structure capable of absorbing and invigorating emerging programs to generate a “Culture Machine”. Each institution occupies a distinct part of the stacked ensemble of buildings, maintaining their individual identity, while overlaps and intersections provide opportunities for fertile cross-programming. 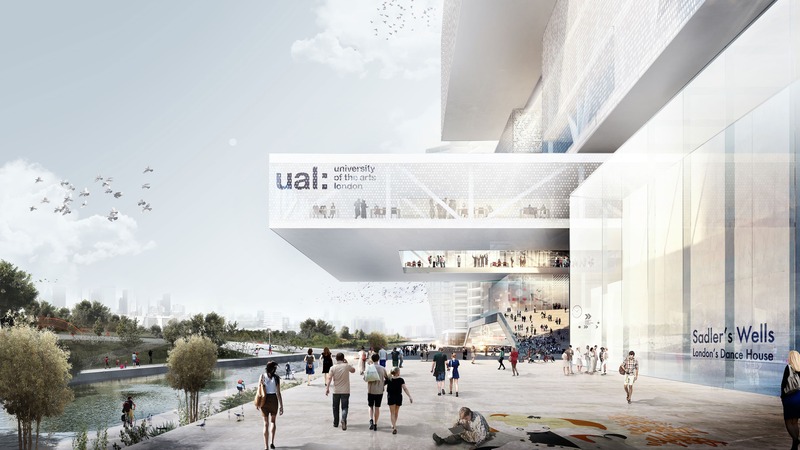 The design illustrates the enormous potential and excitement of jointly-programmed spaces, which enable each institution to collaborate with each other, engage the public, and interact with an extensive public realm. 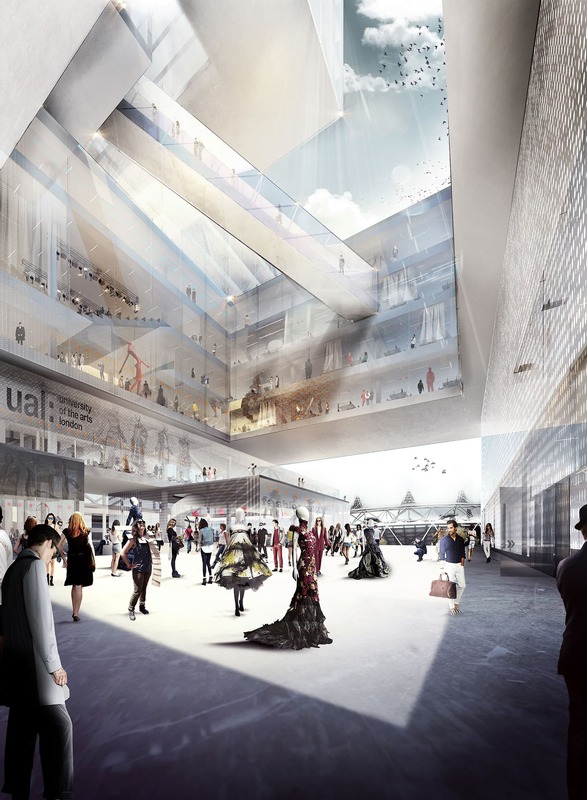 New spaces for hybridized interactions, between education and research, museum and performance, are contained in a flexible system of “loop cluster” modules which offers possibilities for both synergy and autonomy. Shared infrastructure is designed to afford maximum energy efficiency and promote social sustainability. Close collaboration with the London Legacy Development Corporation (LLDC) and engagement with each of the stakeholder institutions enabled definition of the brief. “Optioneering” strategies and phasing were developed to allow flexible scenarios for different stakeholders to manage and orchestrate their processes, with special attention given to the commercial viability of the residential component to attract potential private sector development partners in the future. 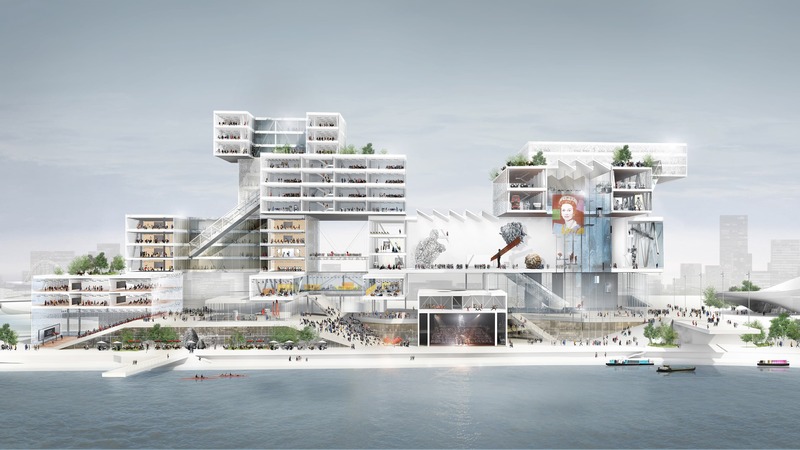 The concept plan creates a transforming identity for Stratford Waterfront and its integration to the surrounding context, as a sustainable urban development and vision of the future Olympicopolis, an ambitious unprecedented cultural district greater than the sum of its parts.